In a new study, McGovern and an international team of researchers offer an alternate explanation, based on new archeological evidence, for why the Vikings settled down at the frosty edge of the known world: They had cornered the market on a valuable luxury good they could trade and sell in Europe. What fancy products could the Vikings provide from their Arctic outposts? Ivory from walrus tusks. After the Muslim conquests of North Africa slowed the flow of elephant ivory into Europe, the Vikings appear to have made a killing selling walrus ivory on the European market. 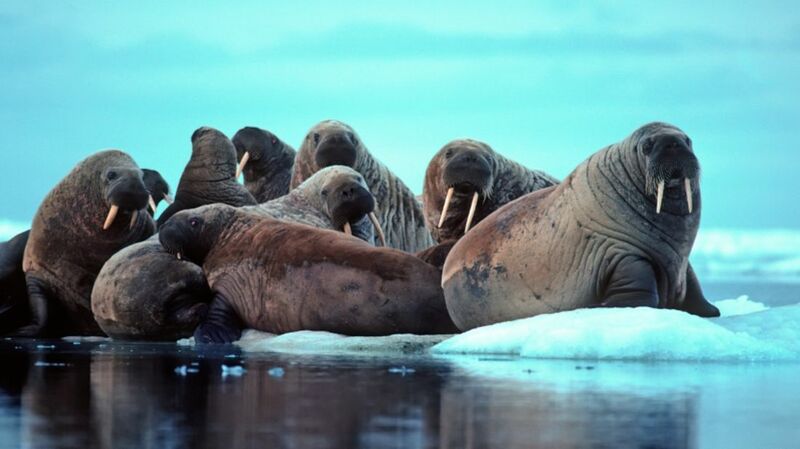 In Greenland, the researchers say, walrus hunting took on a central role in settlements’ economies and societies, to the point where the settlers’ subsistence lifestyle was overhauled to support long-distance, large-scale walrus hunts and the processing of tusks. Difficult as farming may have been, walrus hunting was no picnic. The archaeological record and written accounts that the researchers studied suggest that a trip from the Viking settlements to the hunting grounds took at least 15 days, and as many as 27 days. Even when ideally timed, the researchers say these long trips “would have taken many of this small community’s active adults and valuable small vessels away from the farming area for much of the summer,” straining their labor force and resources, and leaving precious little time for harvesting crops before winter. And with the small size of the Greenland population, losing able-bodied hunters to injury or death could be a serious blow to the community. The trade in ivory seems to have been worth the risks, hardships, and scheduling conflicts, though, and walrus ivory soon flowed into Europe. Dating of walrus ivory trinkets and decorations found in Scandinavia, the British Isles and continental Europe corresponds to “the heyday of Norse settlement in Greenland.” All the trouble paid off, too. Written records suggest that a load of 520 tusks sold in Norway in 1327 had the same value as 780 cows or approximately 66 tons of fish. The money made from that one sale could cover the annual tax owed to the Norwegian king for several thousand Greenlanders, with some left over. In addition to the profits from tusk sales, the walruses also provided the settlers with skin that they turned into rope and barrels of blubber to fuel their lamps.